The Phoenix Fire Commander Size 1 Fingerprint offers totally unparalleled protection for documents, data and cash. The safe conforms to the Swedish NT Fire 017 - 120 Paper standard offering 2 hours fire protection of paper documents along with a 9.15 meters drop test simulating falling through a building floor. Furthermore, it is tested to DIP120 - 60DM ensuring DVDs, USB Memory sticks and hard drives are protected for up to 60 minutes. 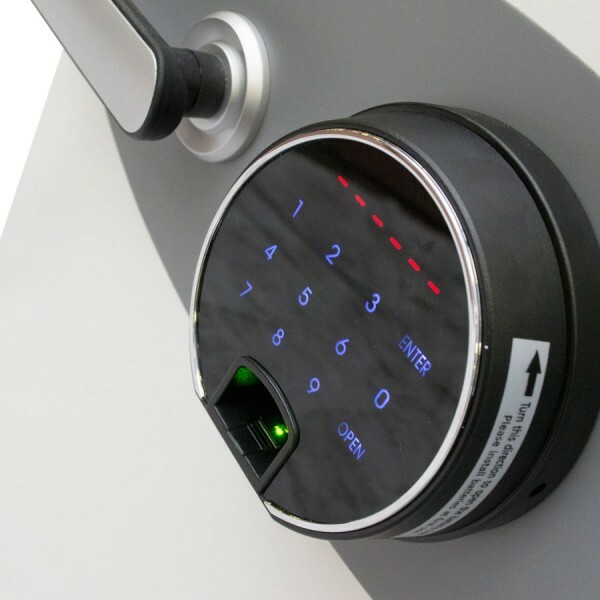 The Phoenix Fire Commander Size 1 Fingerprint has a high security touchscreen fingerprint lock with clear LED display with internal alarm, dual control, hidden code and scrambled code that can be programmed as standard with 128 fingerprints. 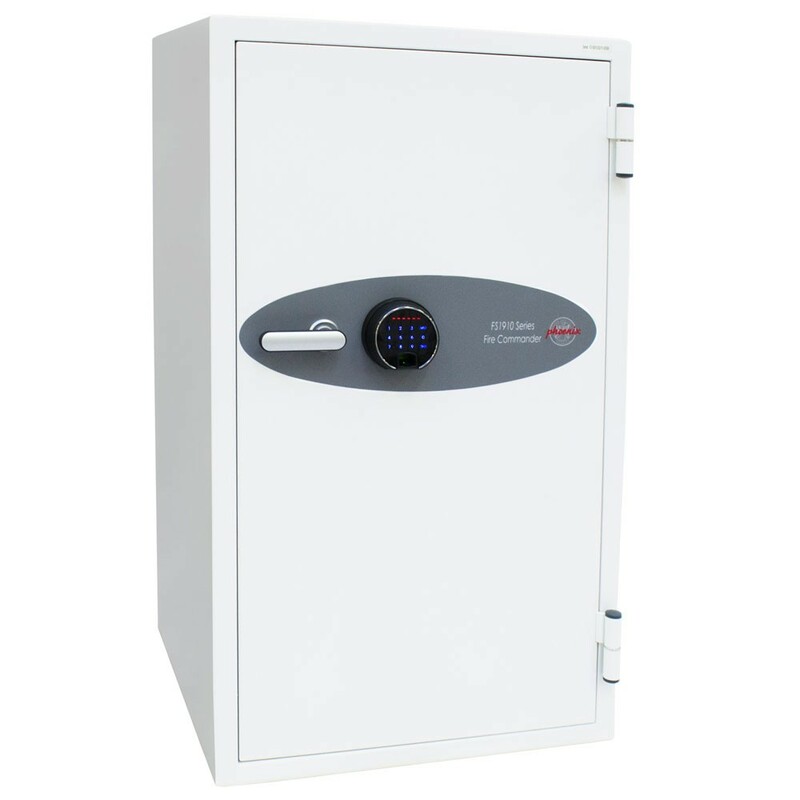 Along with 2 height adjustable shelves and 1 lockable drawer, it is recommended for an overnight cash risk of £2,500 or £25,000 worth of valuables.